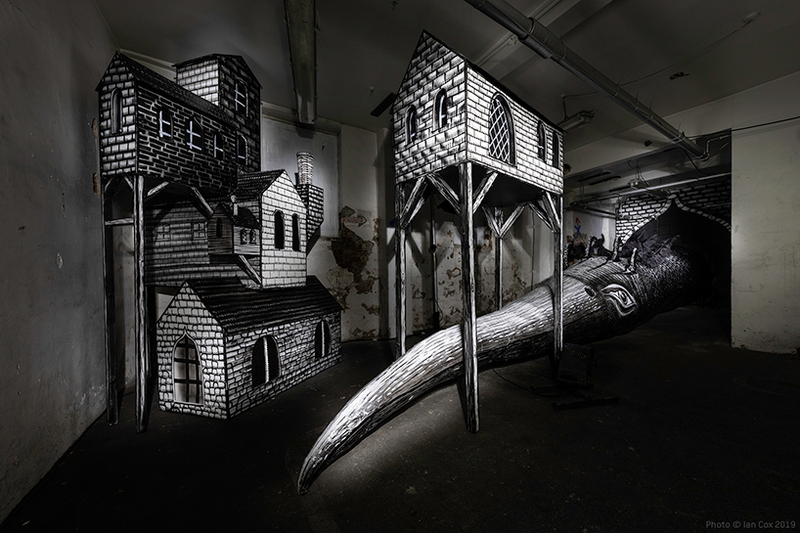 a bestiary is an imaginary compendium of half-imagined animals; artist phlegm plays with these creatures a lot, but recently something eerie has happened. 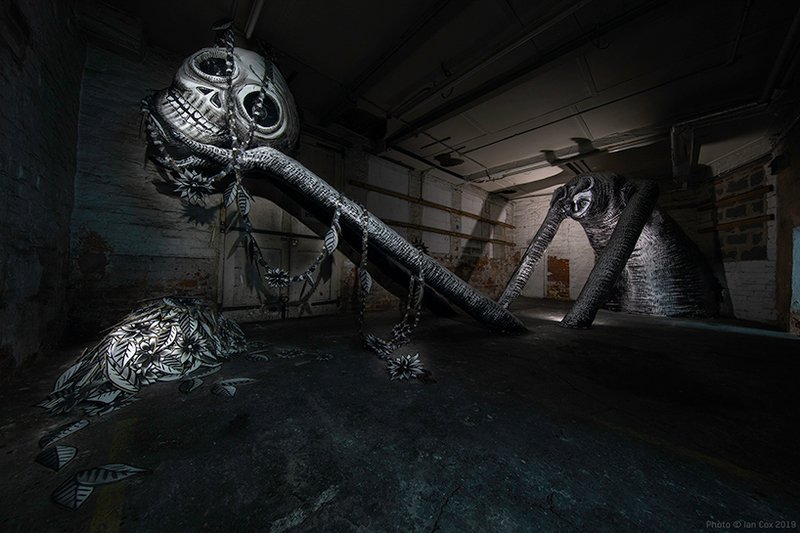 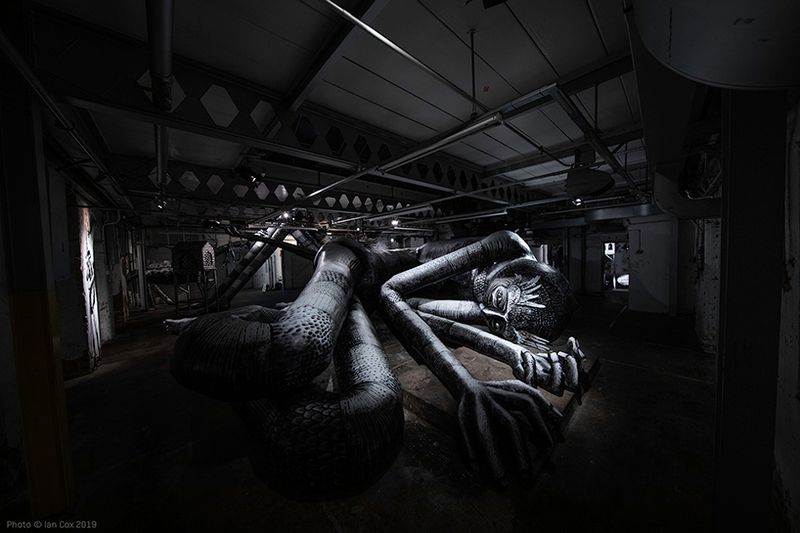 it seems that his largest and most cumbersome two dimensional beasts have leapt from their pages, grown the size of giants, lived full lives and have finally found refuge in this abandoned factory — a factory precariously located in phlegm’s hometown, sheffield, UK. 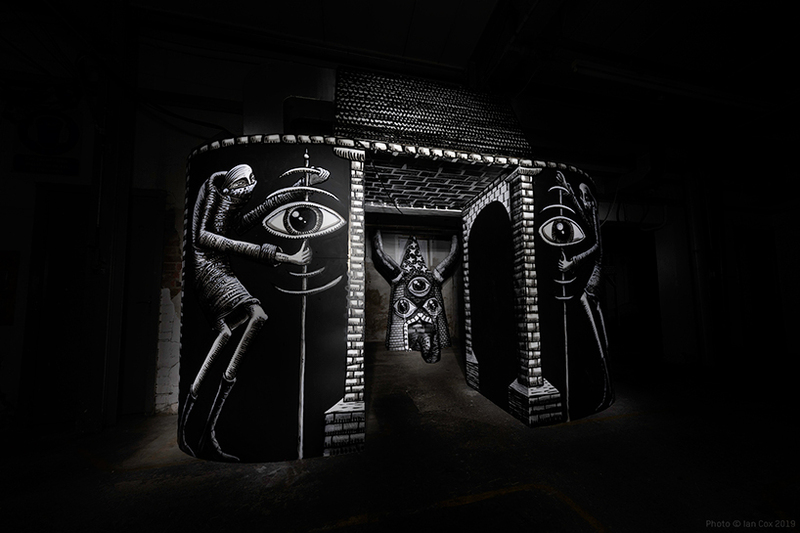 mausoleum of the giant’s is phlegm’s latest exploration with scale. 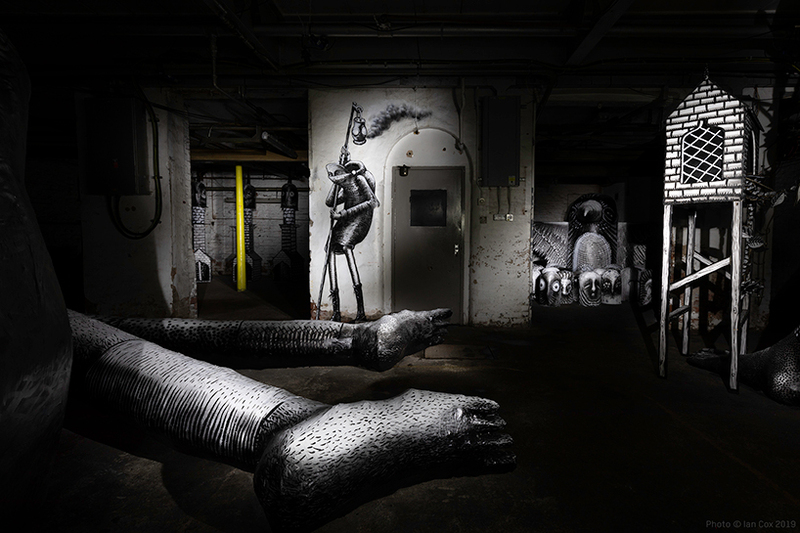 the artist, illustrator and cartoonist, recognized for his intricate, narratives and murals continues to play with scale and mediums. 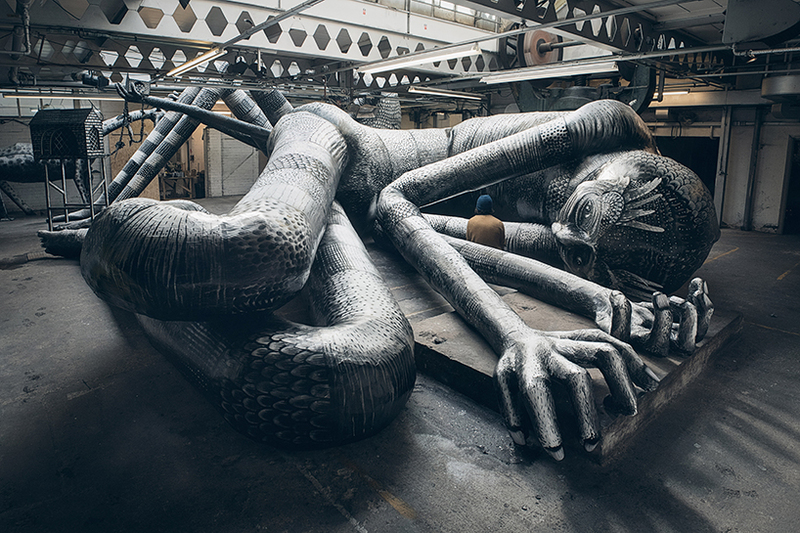 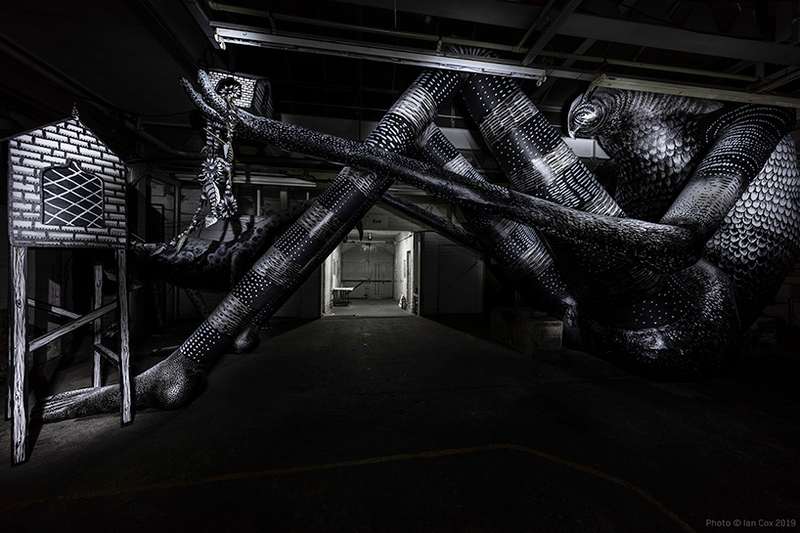 after spending the last couple of years working on impossibly small copper engravings and complex ink drawings the size of a couple centimeters, phlegm has unleashed his iconic recurring characters on a massive, 3D stage. 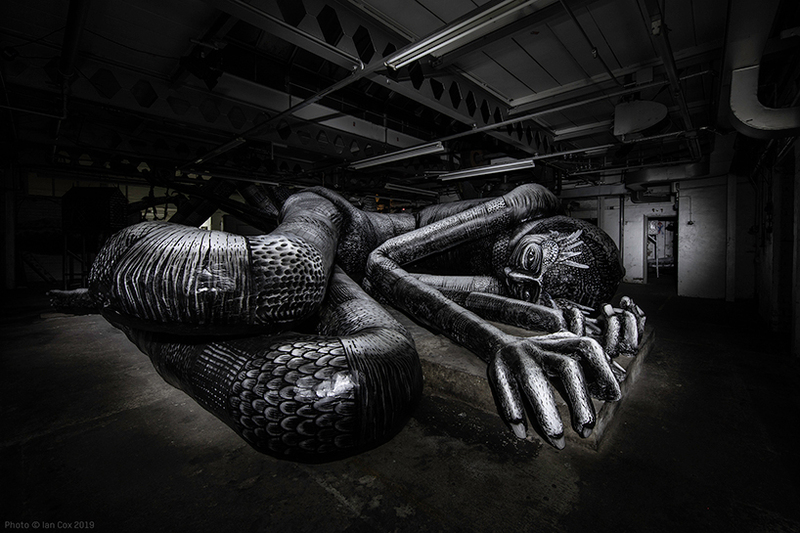 choosing sheffield as the sanctuary for these tired beasts was no accident. 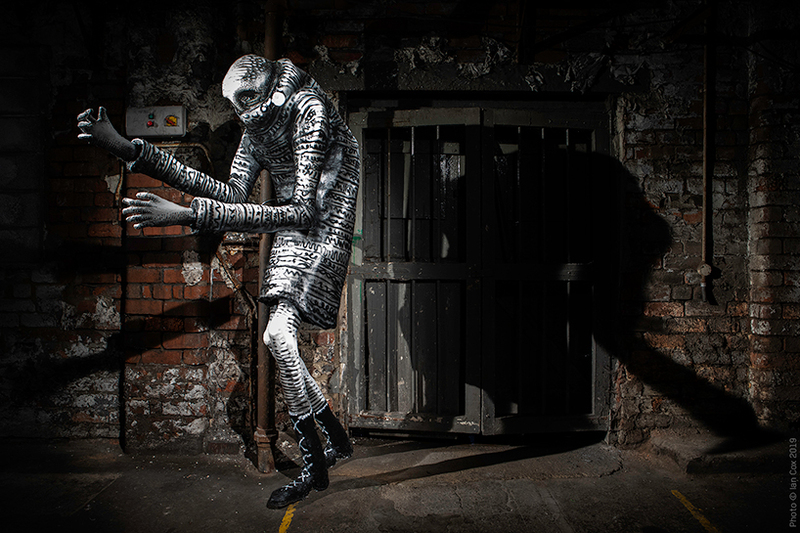 local industrial buildings form the backdrop for phlegm’s murals throughout the city, but this old factory complex is just decrepit, just abandoned enough to serve as the perfect piece of paper for these characters to really come to life, or, more appropriately, complete their life. 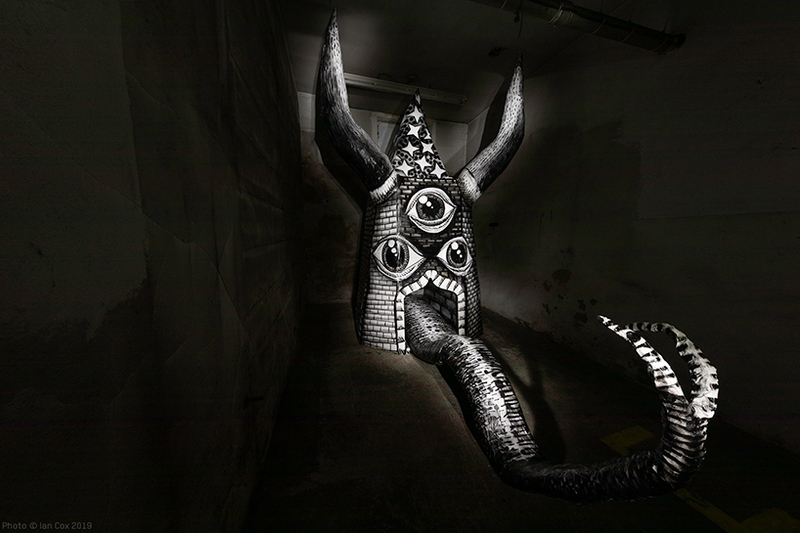 together, they seem to tell a dark and whimsical tale — a 3D poem with arms and legs you can meander between. 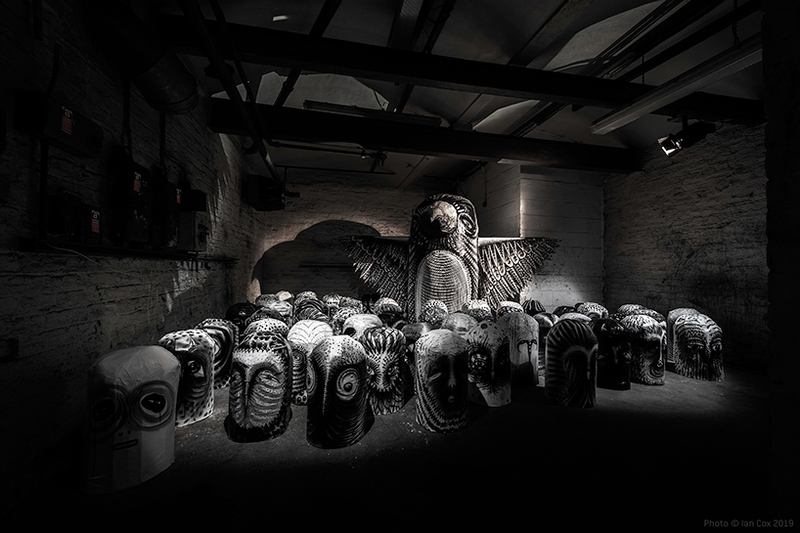 ‘imagined as beings whose lives spans thousands of years, these peaceful beasts have seen rivers erode and mountains change. 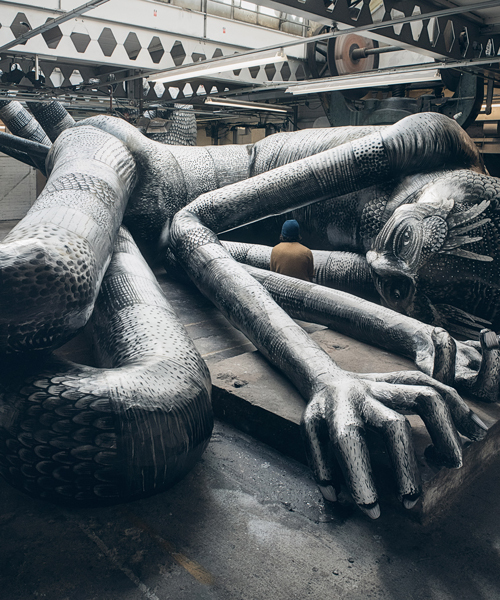 with their final days coming slowly but surely, the giants are ready for their eternal rest, giving everyone enough time to meet them, mourn them and make peace with their ending,’ says sasha bogojev, phlegm’s scribe for the project. 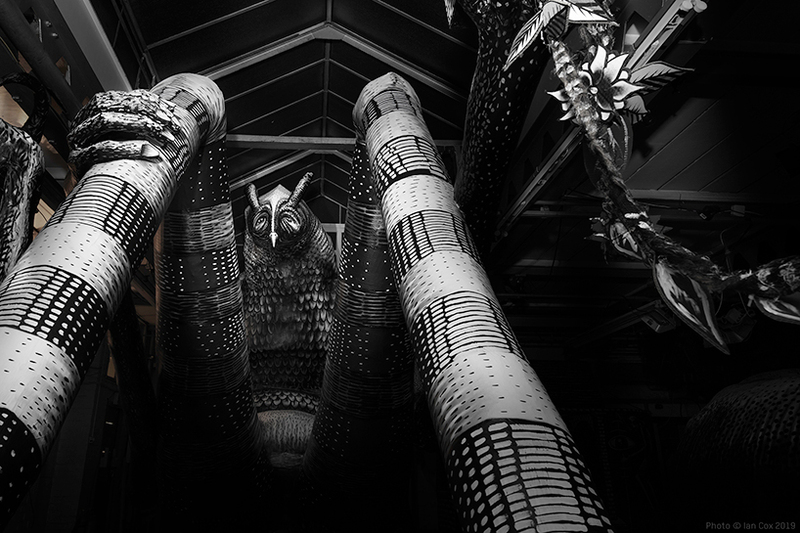 the misunderstood beasts are just trying to rest and yet we’re still invited to bother them with our presence in sheffield.